Biofuel is one specific form of bioenergy, or energy derived from biomass. There are many forms that both biomass and biofuel can take. 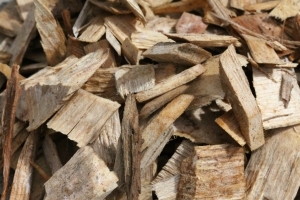 However these research projects focus primarily on woody biomass that will be turned into cellulosic ethanol and used as a component of transportation fuel. Some aspects of this research can also apply to other wood-based forms of energy, such as heat and electricity. There are many potential sources of woody biomass, including shrubs or trees grown on plantations, managed natural forests, and waste products left behind after forest harvesting or management activities. Different refineries or conversion processes may require different types of feedstock, or biomass material for their supply. Michigan’s Forest Products Sector: Are They Ready for Promoting Bioenergy?